If you’re an introvert who really, really likes people (like me), you often find yourself being pulled in opposite directions. While your introverted nature is screaming that you should move to a secluded cabin in the woods, your “people-loving” side is texting your crew, wondering what they’re doing tonight. Some might say that you’re a “social” introvert or an “outgoing” introvert. Whatever you want to call it, you’re someone who has limited energy to socialize, even though you’re deeply interested in, and you care a lot about, other people. Of course, being an introvert who really, really likes people creates some contradicting feelings in you (and it doesn’t mean you’re an ambivert). 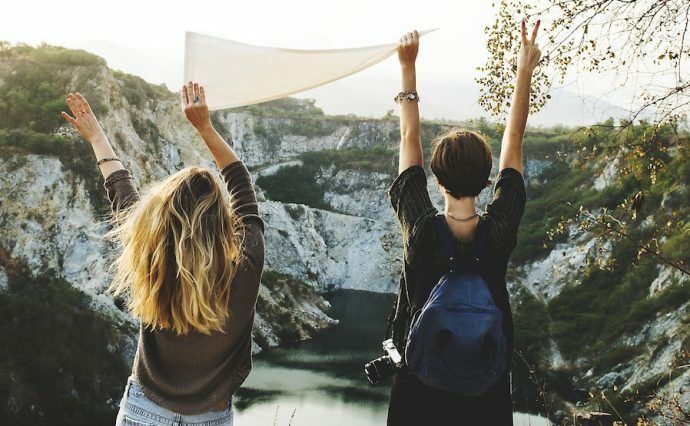 You often want to be there for your friends — and dive deep into their inner world through meaningful conversation — but your limited “people” energy prevents you from doing those things as much as you’d like. Here are 21 contradicting things that I’ve experienced as an introvert who is deeply interested in people. Can you relate? 1. Wanting to go to every get-together you’re invited to because you love supporting your friends, but frequently having to say no because these events utterly destroy your energy. 2. Being the one to organize a get-together for your close friends, then being the first one to leave. 3. Working a “people-person” job — like a teacher, counselor, or social worker — because you gain immense satisfaction from helping others, but crashing on your couch every night after work in exhaustion. 4. Staying out late with your friends because you love the feeling of camaraderie you get after one of these adventures, all the while knowing that you will have to sequester yourself in your bedroom alone the next day to recharge. 5. Listening to your friend talk on and on about her problems because you genuinely enjoy helping people sort through their sh*t, even though some would say she’s taking advantage of your introvert listening skills. 6. Being the one to strike up a conversation with an interesting-looking stranger, even though you feel completely out of your comfort zone. 7. Wanting to keep up with your friends through texting and social media, but needing to frequently turn off your devices so you can relax in silence, without any virtual intrusions. 8. Having people confuse you for an extrovert, even though your only plans this weekend are sleeping in and watching Netflix. 9. Feeling immensely satisfied when you get to use your “introvert wisdom” to help others, but loathing the inauthentic small talk that prefaces these meaningful conversations. 10. Having a reputation for being “friendly” and “nice” at work or school, but mostly wishing that everyone would leave you alone to concentrate in peace. 11. Finding yourself thinking about the people in your life — especially when they’re going through something tough like a break-up or the death of a parent — even during your “me” time. 13. Liking the idea of having a big network of friends, but only having the energy to maintain one or two close friendships. 14. Genuinely feeling really bad when you turn someone down because you don’t have the energy to hang out; you hate disappointing people. 15. Getting alone time (finally! ), but feeling guilty for having to shut everyone out in order to make it happen. 16. Noticing a lot of little details about people — like what they order for lunch or how their moods subtly change — but not revealing the extent of your knowledge. 17. Checking Facebook several times a day, but fantasizing about going off the grid for a while, because sometimes even online interactions become overwhelming. 18. Agreeing to go on road trips or vacations with your friends or family, but being the one who sneaks away from the group for an afternoon to explore on your own (and protect your sanity). 19. Treasuring all the funny/fun/intimate moments you have with your loved ones, but mostly keeping your feelings to yourself — because as an introvert, you’re private about that stuff. 20. Wanting to make the world a better place for humanity, but not wanting to actually interact in-person with anyone. 21. Truly loving people, but mostly wishing they would just leave you alone for a while. Learn more about what’s really going on with introverts. 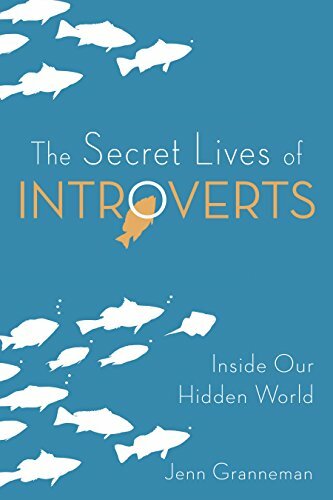 Check out my book, The Secret Lives of Introverts: Inside Our Hidden World.